Notice:2019-20 Meeting Dates: Sept 5th, Oct 7th, Nov 4th, Dec 2nd, Jan 6th, Feb 3rd, April 6th. All meeting are held at 6:30 pm at the Summit Conservation Club. Nestled in the hilltops between the Catskills and the Adirondacks, Summit offers the highest elevations in Schoharie County. 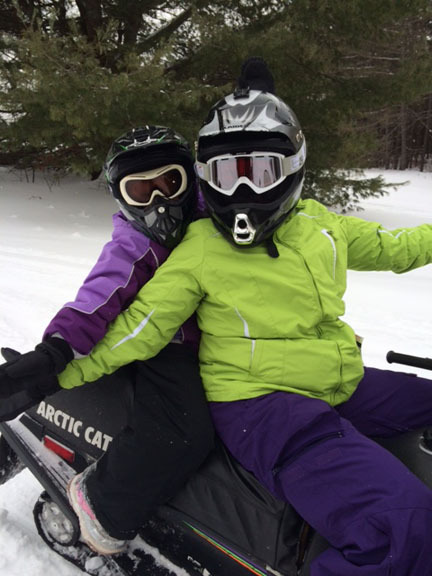 Our elevation, roughly 2400 feet, combined with our extensive trail system gives us some of the best snowmobiling in New York. Come and see us! April 5th, 2019 We hope you had a great riding season. Thanks to everyone for a very successful Poker run event; we were able to raise $6,672.00 for Catskill Area Hospice. We are pleased to announce a new parking area is available. 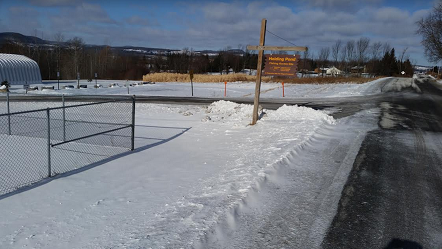 It is located off Dow Street near the Cobleskill reservoir just south of Mineral Springs road. It provides easy access to trail S77. See picture below. During Snow Season: Call our snow phone at (518)-287-1818 for up-to-the minute trail conditions. 2016 Maps are now available! Maps may be purchased for $5 at the following locations. or from the interactive trail map website located on the Trails page. Dedicated to the memory of Booth Pendell. Copyright © 2017 Summit Sno-Riders.